Microsoft co-founder Bill Gates may not be the wealthiest person in the world but he’s earned a title that may be even more valuable: world’s most generous person. Forbes’ released their ranking of the world’s richest people earlier today where Gates finished second overall, trailing Mexican billionaire Carlos Slim Helu by roughly $6 billion. 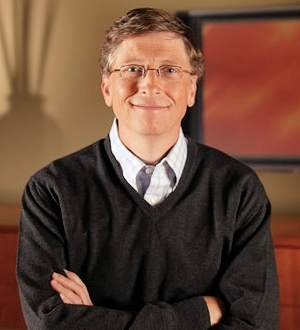 Gates has consistently ranked among the wealthiest people in the world. With the exception of 2008 where he placed third, he was considered the richest person on the planet from 1995 through 2009. In 2013, the 57-year-old has a net worth of $67 billion – an increase of about $6 billion from a year ago. The newfound cash didn’t come from Microsoft but other financial holdings and private investments like hygiene tech firm Ecolab, Mexican TV broadcaster Televisa and Latin America’s largest beverage company. Gates earned the title of most generous person for his work with the Bill & Melinda Gates Foundation where he has already given more than $28 billion. His ultimately goal with the project is to do away with deadly diseases like malaria and polio. Aside from his work with the foundation, Gates has been trying to convince other billionaires to sign the Giving Pledge. Those who sign agree to donate the majority of their wealth to philanthropic causes when they die. Along with friend Warren Buffett, the two have recently added 12 non-Americans to the list including the UK’s Richard Branson and Azim Premji from India.